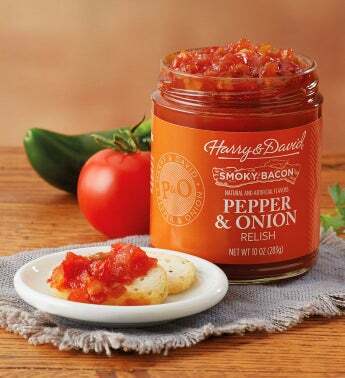 Experience a mouthwatering combination of savory bacon with mesquite smokiness, spicy jalapeños, bright red bell peppers, ripe tomatoes, and onions. This relish takes a classic favorite to a whole new level of incredible flavor you won't be able to resist. Medium-to-hot.